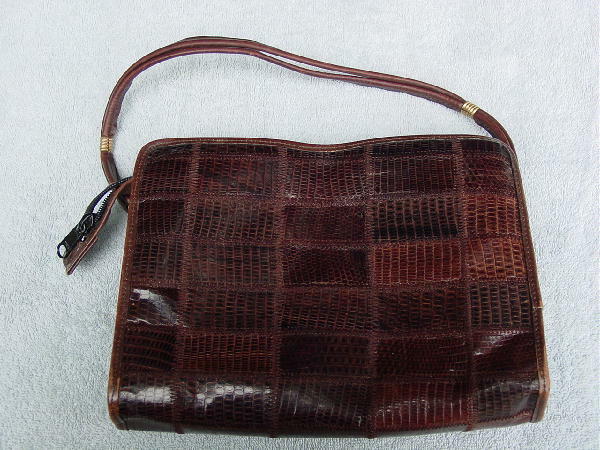 This vintage lizard Sanes purse was made in Spain. 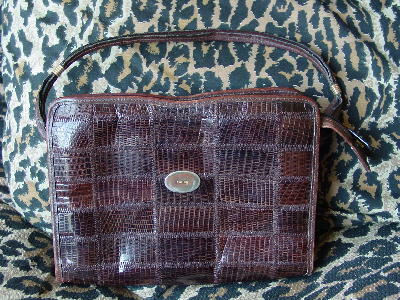 It has a side to side top zipper with a 3" overhang. 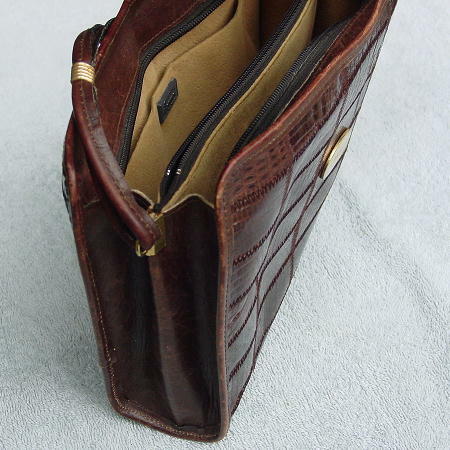 The top horizontal panels (attached to the zipper) and the sides are in "well-loved" light and medium brown leather, as well as the two "well-loved" 18" long handles. The top edges (front and back) dip down in the center. The handles are attached on both sides by 3/8" wide gold-tone ridged metal bands. The interior has 3 sections, the center one having a side to side zipper with a black fabric lining, and the other sections having a light tan faux suede lining. The back section has a large open pocket with a Sanes tag on it. It's a nice soft lining. The front and back are made up of rectangular patches 2" by 1 1/8" of dark brown lizard stitched together in a patchwork pattern. 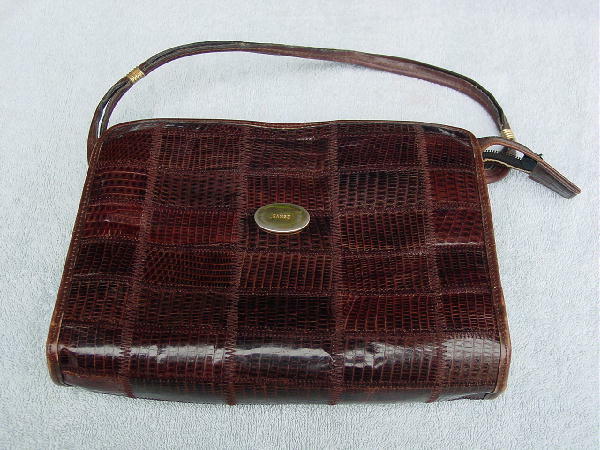 It belonged to a German model who sold it because she needed the money.